Summary: Gregoire runs into Fenris by chance and convinces him to take him along to visit his sworn enemy, Olek. No humble, cobbled, crowded town square, this: the grand plaza of Marsilikos gleams, a true centerpiece of a wealthy, international port city. The marble tiles of the square itself are fitted smoothly together, alternating white and greyish-blue with obsidian equal-armed crosses inset at the intersections. Four raised planters, ten meters square, offer cool travertine seating around swaths of raised ground, grassy and tended in all seasons with foliage best beautiful and suiting to the weather, positioned in each of the corner quadrants of the square, and, in the center, a concrete-laid pool is lined with marble, into which four ichthyocentaurs are pouring cool, clean water from carved vases of striking white marble. On a pedestal half-hidden by the winding tails of the ichthyocentaurs is an ancient obelisk, one solid piece of red granite, imported with great expense from Menekhet, mounting twenty one meters into the sky and casting a winding shadow around the corners of the plaza as the day progresses. On the western edge of the square a grand marble stairwell overlooks the port and the harbor below; to the north, two strips of marble extend far between the stoate pillars of the marketplace, embracing a well-cultivated spina of greenery. It is a fall morning. The weather is cool and drizzling. The weather is cool and drizzling. Fen is wearing a soaked red tunic with dark brown leather pants and boots. His jacket is rawhide and wraps around him to keep the rain off his clothes but his hair is just dripping. He obviously shaved recently as he only has a day or two of growth. He grumbles as he walks through the market on his way towards the Tourny ground. Gregoire comes out of a shop, pulling up his heavy cloak to keep himself dry. His black leather boots and matching gloves protect him fully from the drizzling. He notices Fenris walking down the street and moves to intercept him since he's not too far away. He does make a point of calling out, "Fancy meeting you here." He has a teasing glint to his eye as he greets him. Fenris stops in his tracks and bows his head to Gregoire. "And here no less." He speaks softly. "I.. " He clears his throat of the grumbly rocks and turns to the man, keeping his head bowed. "I … have something for you but I wasn't going to give it to you yet but… I guess I can." He rubs his forehead and chews his bottom lip, not looking the man in the eyes just yet. Gregoire softens his voice and asks him with a deep smile, "I look forward to getting the gift. But if it's not ready yet, I don't mind waiting." He gives a wink, "Especially if you want to give it in a more private setting." He does try to catch Fenris' eye to figure out what he's feeling. Fenris reaches into his jacket and starts rustling. "It is ready but… I was going to hide it at your home." Fenris is very tired and there is the smell of fire and ash on him. He pulls out a small back and shoves it over to Gregoire. "There." His face blushes red. Gregoire gives a curious look to Fenris as he shoves the bag in his hands. He carefully opens up the package to see what's inside. 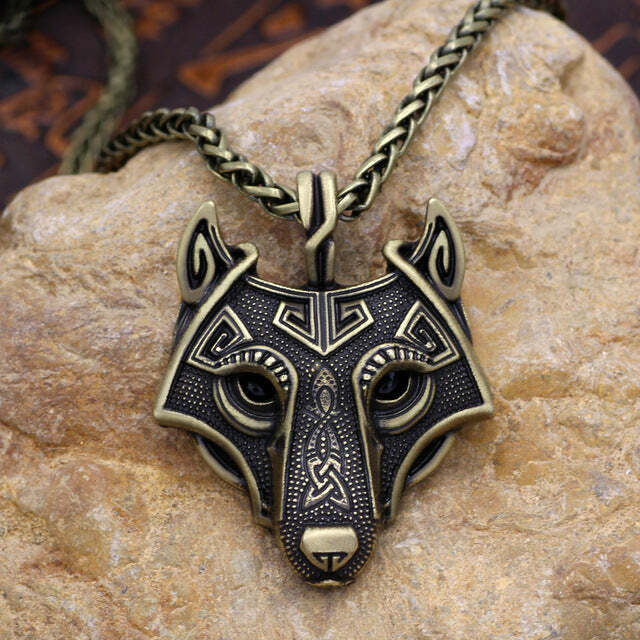 At the sight of the necklace, he gives a deep gasp, "Fen…this is amazing." He pulls off his hood, not caring about the rain and puts on the necklace. Then he realizes that there's another gift. He raises his hood again and then pulls out the ring, "Oh Fen…" He gives him a look of deep affection, "You are an amazing artist." He pulls off the glove on his right hand and slips it on immediately. Then he puts the glove back on, "Where did you learn to work the forge so well?" Fenris bites his bottom lip and lifts his eyes to watch Gregoire. "… Olek taught me the basics but I … learned more by trail and error. I learned how to do that…" He gestures to the jewelry. "I have only used my talents three times while here. Two right there and the other… Ammy has." He grins warmly. "I used to be on the forge most mornings. I'd wake others up and they would be angry but … it was an escape." Gregoire steps closer so he can cup his gloved hand on Fenris cheek and look him in the eye, "I love that your creative genius. And honored that you would choose me to gift." He motions to himself, "I can do a bit of sketching but it's nothing like what you can do at your forge." At the mention of Olek, he does give a pause, "Have you had any more problems from him?" Fenris lifts his chin to look at Gregoire. He blushes at the compliment. "I'm no genius. I'm barely smart." He chuckles a little. He shakes his head a little at the mention from Olek. It's a slow shake. "Ailene and Thibault were given gifts. A horse heart and a horse head. Though I've not gotten anything." Anyone who knows Fen know's that's a lie. Gregoire gives a pointed look to his lover, "Now Fenris…don't tell me you haven't received anything." He gives him a deep look, "He obviously is harrassing his friends, it's not the time to spare me." He makes a point of not mentioning if he's gotten a 'gift' from Olek or not. Fenris growls quietly and looks away from Gregoire. "I didn't." He speaks quietly, still hiding. "I told Ailene and Thibault to get a body guard. Especially Thibault since the horses head is first to die. The heart is second." He brings his hands together in front of him. "Have…you gotten anything?" Gregoire shakes his head, "No, I haven't gotten a thing. Perhaps he's not aware where I live." He gives a more pointed look, "Come on…I can tell that you're hiding something. Don't keep me in the dark. The more I know, the more I can protect myself…" He leans forward to gently brush his lips against Fenris' lips, "And you." Fenris feels lips against his own and kisses his lover back. "I was going to leave those where you'd find them. And I know you would know they were from me." He speaks softly. "Don't… try to protect me." He slowly slides his arms around Gregoire and something like a lump is around his chest. "I love you. I… will probably see you later, okay?" His voice quiet. "I have a dinner later with my wife," Gregoire murmurs softly to Fenris, "But I'm free this afternoon. Perhaps I'll just accompany you while you run your errands." He gives a teasing smile, "Unless you're meeting another. Then I completely understand." He lowers his voice and admits to him, "I like receiving the gift, like this, directly from you. It means more to me." He leans closer and murmurs in his ear, "And because I love you in return, I am not leaving your side until I absolutely have to or you send me back to my manor. But please…you're starting to worry me Fen." Fenris shakes his head and puts a hand on Gregoire's chest. "Go prepare for your dinner. I'm sure it will be… eventful." He grins a little and kisses the man's forehead. "I am… meeting another." He speaks softly. His hands move, one over where the necklace sits and one where the ring is. "I need to protect those I love." He speaks quietly. "That includes you. So please, go prepare your dinner. There are no words to describe how much I love you, Gregoire." "Are you meeting Olek?" Gregoire stops being gentle in his words and asks the question bluntly, "Tell me now your intentions." He feels a flush to his cheeks, knowing that he's acting like a jealous lover, "If it is not him…I shall apologize but I need you to look me in the eyes and tell me it's not him who you're meeting." Fenris feels the firmness and he looks into Gregoire's eyes. "I can't." Is all he says. He lifts his hands and Gregoire's chin. "I love you and no one will ever be as amazing as you are." He kisses his lips softly. "Trust me." He wraps Gregoire in his arms. Gregoire holds him closely to him, "Fen, you are the one bright moment in my day. If something happened to you, when I could have helped or stopped it, I will be eaten away with guilt." He gives him a squeeze, "You are precious…never forget that. You are /important/ to me." He clings to him for a moment as if he doesn't want to let him go. Fenris frowns and lifts his fingers to brush them over Gregoire's face. He reaches into his cloak and pulls a bag from it. He unties it and there is a dead snake in it. "Parlay." He speaks softly. "If he breaks the rules, his tribe and others will never speak to him again." He brings the bag back into his cloak. "If… you wish to come, you can but … I ask you not to insult him because then I break the rules. Just watch. The reason I'm going… " He bows his head and closes his eyes. "I need to see what traps they've set and how many he's brought so I can bring an army safely to him." His scion showing with his tactics. Gregoire finally lets him go when Fenris tells him what's going on. He looks down at the bag and nods to himself when he tells Fenris that he's going to negotiate, "I shall accompany you, as a witness then, that he keeps to parlay." He softly tells Fenris, "And I promise to follow your lead in this. I shall be quiet, and keep my ears and eyes open to see what can be figured." Fenris nods his head slowly and brushes his fingers over Gregoire's hands softly. "Do not insult him. Do not insult Skaldia. Do not make moves to harm him. Do not be aggressive. This is a negotiation." He nods his head to Gregoire. "I will protect you but if things go south, you must promise me that you will run. Do not fight. Run. Or I won't take you with me." Gregoire motions to the axes inside his heavy cloak that he carries with him, "Do you need me to remove my weapons?" It's clear he's serious about following Fenris lead and not being an aggressor, "And I will run, but only if you are right behind me." It's clear no matter what happens, Gregoire plans to share Fenris' fate, "I am in this with you…till the end." Fenris shakes his head. "I know how to fight them. Intimately. I will give you a clear path to get out. Then you will bring an army and come and kill them all. Leaving Olek for me." He shakes his head and kisses the man's forehead. "Promise that." Gregoire gives a silent nod, and reminds his lover, "I have been a scout that lived many years near the borders of Skaldia. I am familiar with how they fight. And if you want me to bring an army to raise them, I shall but know I need you to survive then. Long enough for me to come back and save you. I need you at the end to be okay." Fenris brings his lips to Gregoire's. "I will survive until you come bring me home." He whispers quietly. "I .. don't expect this to go bad but I don't know how angry he is." He nods slowly. "Let's go…You with your axes and my with my sword." He takes the man's hand and moves back out of the city.